For the first time in a LONG time, I am coaching house league indoor soccer. I avoid coaching indoor soccer and my son is very OK with that. In his words "Dad, you're the kind of guy who is a good coach for teams that practice and have games and that kind of stuff. Indoor is not for you". The real reason I avoid it is that I have been involved with our club for a long time. The last two times I had house league teams (always random) we did very well, so the conspiracy theories begin. So I park my rear-end on the parents' side and enjoy myself. We had our second game tonight. It's 9v9 on half field, with 6'x18' goals. Our last facility had boards around the field, so it's a switch this year. Our team has nice kids on it and they actually try to play with ideas. With the removal of the boards the players have to be concerned with putting the ball out of play so they work harder to control it. For me, it's even playing time, revolving positions and not intense. For the players, it's competition with a score clock, so it's all out... but civilized. The only time they hear my "coaching" voice it's to remind players to get back when we don't have the ball. Other than that, I try to cheer as much as I can with the occasional funny guy moment. They know how I am now and are not afraid to ask if they can try certain positions. And they ask about all of them, not just striker/forward. I admire that. Officially, I don't coach as much as I facilitate their recreation ... but I will admit to having them playing 2-3 touch soccer and moving the ball around quickly. It's not pretty, but their eyes are going up, the ball is moving and everybody is involved. We are set up as 3-3-2 to make it simple and we've given 8 of the 15 players a chance to be our centre midfielder, so far. The house league coaches job is to foster a life-long love for the game and keep the environment enjoyable. This league is great. It's pure fun for the kids and loose for 99% of the parents (you still get the occasional nut). A lot of players get to play with their friends for the first time since U6 (separated by travel and house league during the summer) and it creates a lot of very good individual moments for every player there. Coaches are casual with each other and the referee, and that sets the tone for everybody. Travel leagues look to raise the level of each player and hopefully harvest some of Canada's future. 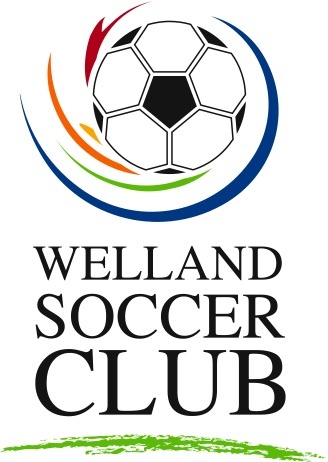 League like this Wednesday night U14 co-ed indoor league will foster a player's passion to keep playing well into adulthood and adopt a healthy lifestyle. Tuesday night was session #1 of 10 with a new group in the U11-U12 age group. The club's player programs started this week and I was assigned the Tuesday night U11/12 co-ed group. The sessions are at the new Youngs Sportsplex and we are using 1/4 of the field. That night, the joint was jumpin'! We had our session on 1/4 field, another coach (from Niagara Falls SC) was sharing his team's space with a GK session and the entire other 1/2 field was being used by another team training (Pelham SC). It's nice to see the place busy and nice to see the other clubs coming in and renting the field. Our group has 30-32 players and 2 assistant coaches. The group is in the Learn to Train stage of LTPD. Some of the girls are past Learn to Train, but I will treat them all as the same group. It's a combination of travel and house-league level players. Last night I took a diagnostic approach, wanting to have a look at what we are working with. But I also wanted them to get something out of the session. We started with a warm-up that involved 4 squares, each with a different ball warm-up. We did one minute/square and did the circuit twice. There was very little coaching the first time through then a few tips the second time through. Our next exercise was a passing square, where players pass to the next corner and go to that same corner to receive the next ball through. The exercise was done as 2 touch only and in both directions. It's a very basic exercise, but it set the stage for what I wanted in our small-sided game. We didn't over coach it. For receiving: body position on angle and away from corner cones, first touch towards next target, 2 touch play. Nice and simple. For the ball to move around the outside of the cones it became clear to them that the passes had to be quick. The field was then organized for 3 small sided games using pugg netts. the teams were organized 5v5 and the condition of the game was 2-touch soccer and "one-time" panic kicks were heavily discouraged. Every game had a coach present who gently reminded the players to play 2-touch and remind them when a one-time strike popped it's unwanted head. For the most part players were getting the hang of playing 2-touch and the ball was making it's way to every player in the game. After a short water break, another coach and I joined each game, one at a time. We were promoting the idea of looking before and after the first touch, looking to make smarter plays in possession. While we were playing with each team we were gently massaging the shape and encouraging players to support behind the ball. By the time we got through each game all 6 teams were using their last player as support and moving to support them after the pass. After the session, we gathered them together for a few minutes to ask them to try a small ball control sequence at home before our next session. My intention is to give them "home work" each week, something small and easy that keeps a ball on their foot. What would I change next week? Moving players into 4 games with smaller teams, for more involvement. Easier exercises in the 4 squares. One of them was a little too difficult for them. Their game play was better at the end than it was at the beginning. Some of the players who struggled during the technical drill slowly improved during the game. LTPD suggests 50% of the session for this stage be small-sided-games and it was. Our involvement in each game as we went around showed us each player was playing and not hiding, which was nice to see. LTPD suggests training be 45-70 minutes in length. We went 80 minutes on a 90 minute field allotment. I broke the order of warm-up/game/technical/game because I saw that all players were not there and didn't want to keep re-arranging teams the first night. A lot of players arrived late. Admittedly, I was tired after a long, busy day, but the players were ready to play and I knew some of them from previous encounters, so we got along quite well and it was enjoyable for me. The facility was busy and loud with balls flying everywhere. It was annoying more than it was distracting, but I was happy to see the place so alive with soccer. My voice was raspy, getting over a cold, but coaches Colum and Nilan are not shy and kept their groups moving without my needing to speak too much. I was a little frustrated before the session started, not knowing where we were setting up but that disappeared once the setup is complete and the players start to arrive. This problem has been fixed for next time. Coach Nilan and Coach Colum coach travel soccer at our club and were both actively involved with the players. A player from my college squad was also there and decided to join us and was very helpful. He's worked camps for his home club of Milton Soccer Club, so I knew he was experienced. There was confusion as to where we were situated in our busy complex so time was tight and I didn't fully brief them on the plan, although I gave them a hardcopy. They caught on very quickly. Did I accomplish everything on my plan? No. We had some organizational kinks to work out with the size of group and I took it a bit slower once I read their overall level. But we did play quite a bit and we improvised a bit during the game, with the coaches jumping in to give advice. The plan was a guide and not carved in stone. When you have 30-32 players you work the session to stay productive. Now that they know the general format of the warm-up, we're able to get productive sooner next week.